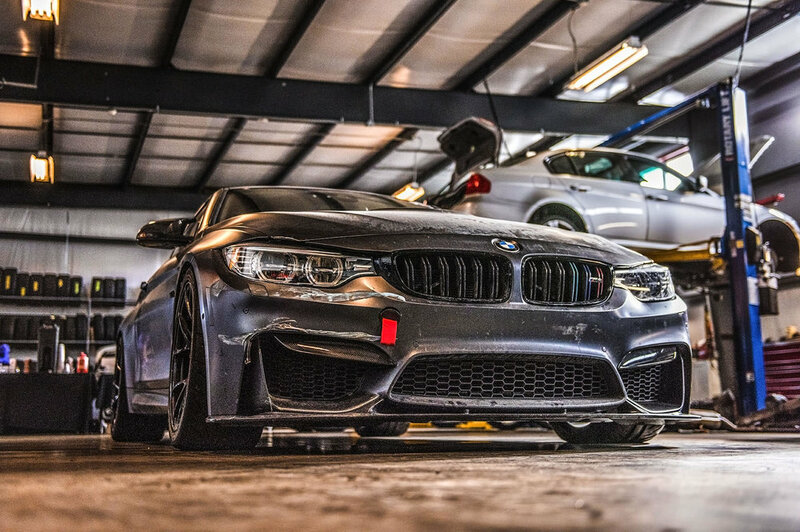 The Little Speed Shop is the place to go for all of your BMW needs. With BMW Master Technicians, factory level diagnostics and state of the art facilities, we are the dealer alternative for your BMW service needs. The Little Speed Shop is Rochester, NY’s BMW Service Shop. Kevin VanValkenburgh, the founder of The Little Speed Shop, worked as a Master Technician at BMW dealerships and brings his knowledge and experience to The Little Speed Shop, in order to provide the best possible dealership alternative. With factory trained technicians, top of the line diagnostic equipment, and access to genuine, OEM, aftermarket, performance and used parts, we are equip to keep your BMW running smoothly. Rochester and Western NY BMW service dealer alternative. Take advantage of our $105/hr and dealer quality service at an affordable price. BMW is engineered to perform and we like to keep it that way. If your vehicle needs repairs, whether large or small, our skill and range of experience guarantees that it will be taken care of in the most efficient and cost-effective manner. Simply tell us what you expect from your BMW, and from us– and we are confident to meet those expectations.